Over Under Clothing, an American clothing company, has been donating a portion of their proceeds to worthy causes since they were established in 2010. One of the groups they contribute to is Ducks Unlimited. Here, the staff discusses the remarkable organization, its mission, and why they are dedicated to supporting its worthy purpose. 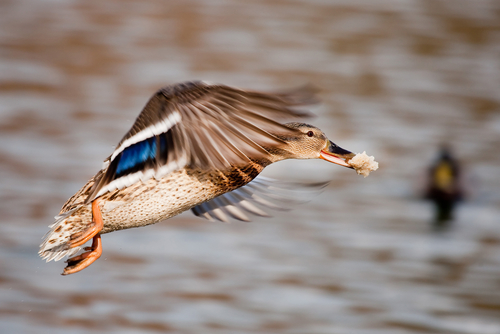 Ducks Unlimited is a nonprofit, volunteer-based group dedicated to habitat conservation. They not only conserve wetlands and habitats for waterfowl, but they also restore and manage them. The organization was started by a small group of sportsmen in 1937 when the drought of the Dust Bowl threatened waterfowl populations. Ducks Unlimited is now the largest private, nonprofit waterfowl and wetlands conservation organization and has protected over 14 million acres of the animal’s habitat. As of January 2017, they had over 600,000 members. Their team holds more than 400,000 fundraising events each year and have raised over $4.5 billion since they began. In 1973, Ducks Unlimited started a youth program called Greenwings for children 17 years old and younger. They now have over 45,000 members. The purpose is to educate kids and get them involved in conservation, so they can be advocates for it in the future. The organization has officially licensed products available through well-known companies such as Yamaha Motor Corporation, Tervis Tumbler, and Jack Daniel’s Single Barrel. Ducks Unlimited also offers American clothing, accessories, and gear in their online store. For garments you can wear with style and pride, turn to Over Under Clothing. They offer high-quality, 100% American clothing, accessories, and jewelry for men and children. They also sell dog collars and leashes, and outdoor gear. Their team stands behind their goods with a lifetime warranty. Give them a call at (904) 619-0577, or visit their website to see how they can help outfit your sporting lifestyle.